Scouts is the original Scouting section dating back over 100 years. While we still run fun and games activities in Scouts as with Cubs we also run much more adventurous activities and try to develop confidence, responsibility and skills. 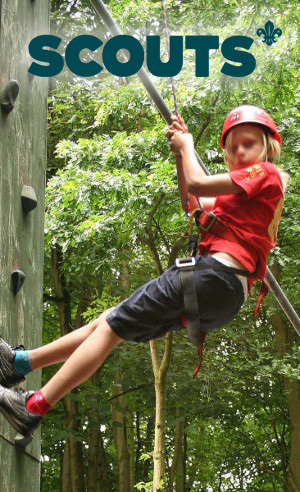 Scout get involved in all sorts of activities such as Camping, water sports, archery, air rifle shooting, expeditions, hiking, orienteering, fire lighting, climbing and abseiling, arts and crafts, go-karting, cooking… the list goes on. District and county events play a big part in the Scouting sections with Scouts gathering for all other Tamworth and Staffordshire to camp, comptete and generally have a good time. Anyone aged 10.5 – 14, boys and girls. There are Scout troops running all over Tamworth on different nights of the week. To find out more about Scouts in Tamworth contact us.